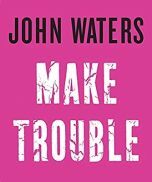 John Waters is putting his life on the line. 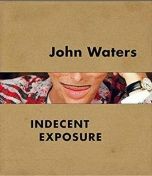 Armed with wit, a pencil-thin moustache, and a cardboard sign that reads 'I'm Not Psycho', he hitchhikes across America from Baltimore to San Francisco, braving lonely roads and treacherous drivers. But who should we be more worried about, the delicate film director with genteel manners or the unsuspecting travelers transporting the Pope of Trash? Along the way, Waters fantasizes about the best and worst possible scenarios: a friendly drug dealer hands over piles of cash to finance films with no questions asked, a demolition-derby driver makes a filthy sexual request in the middle of a race, a gun-toting drunk terrorizes and holds him hostage, and a Kansas vice squad entraps and throws him in jail. So what really happens when this cult legend sticks out his thumb and faces the open road? Laced with subversive humour and warm intelligence, Carsick is an unforgettable ride with a wickedly funny companion - and a celebration of America's weird, astonishing, and generous citizens.